I couldn’t resist showing you this collection of lettepress notecards with fun statements that I put together from different Etsy shop owners. 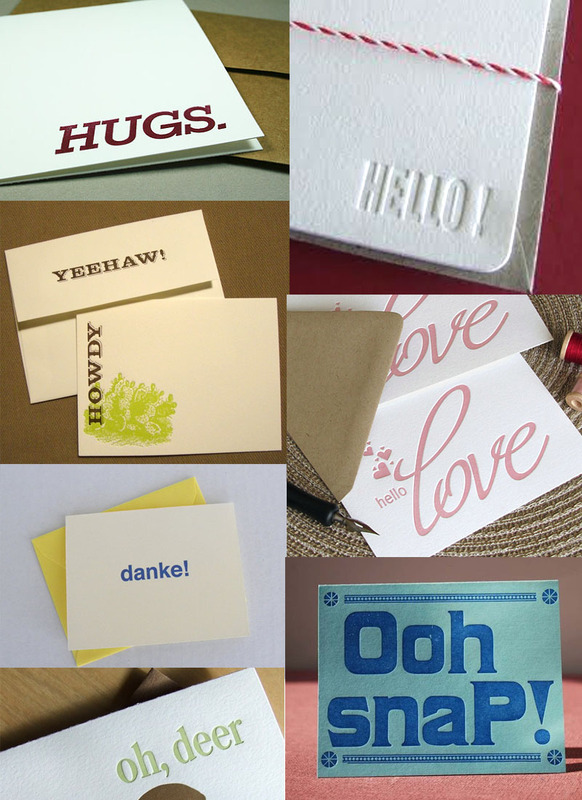 Each design is made by hand on a vintage letterpress. Wouldn’t it be fun to give one of these to a friend… just for fun, right?